Achievements Certificate for Green Card Young Equestrian Leader Award (YELA) Duke of Edinburgh Awards Volunteer of the Year Pony Club RDA Badges Keeping Fit! All our volunteers are trained, so don’t worry if you don’t know one end of the horse from the other, we’ll show you what to do. 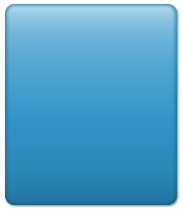 RDA Handbook RDA National publish a handbook each year containing all sorts of useful information. Each Group has a copy and ours is kept by the group secretary, but is available to everyone on request. Green Card Before you start to help, some basic training must be completed to ensure your safety and that of everyone else in the group. 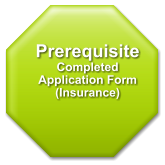 A training card (green card) must be filled out to comply with our insurance. This will be completed at your first session. CRB Checks and Child Protection Policy All volunteers must have a CRB check, which is organised by the group via RDA National shortly after you start to help Our Group has a Child and Vulnerable Adult Protection Policy, which is freely available to all members, and should be read by all volunteers. First Aid Training Riding is a risk sport and clearly it is sensible to have first aiders available at all lessons and events. Many of our volunteers have taken first aid training which is arranged through the County on a regular basis. If you already have first aid training please let the secretary have a copy of your certificate for our records. Group Training Sessions We try to organise training sessions within the group for all volunteers on an annual basis, to ensure that everyone is up to speed and to pass on any new thoughts / ideas from RDA National Office. Regional Training Days Both the County and the Region hold training days every year which are available to all volunteers and cover a wide range of topics. It’s a great way to refresh your training and to meet like-minded people from other groups across the county / region and swop ideas and stories. 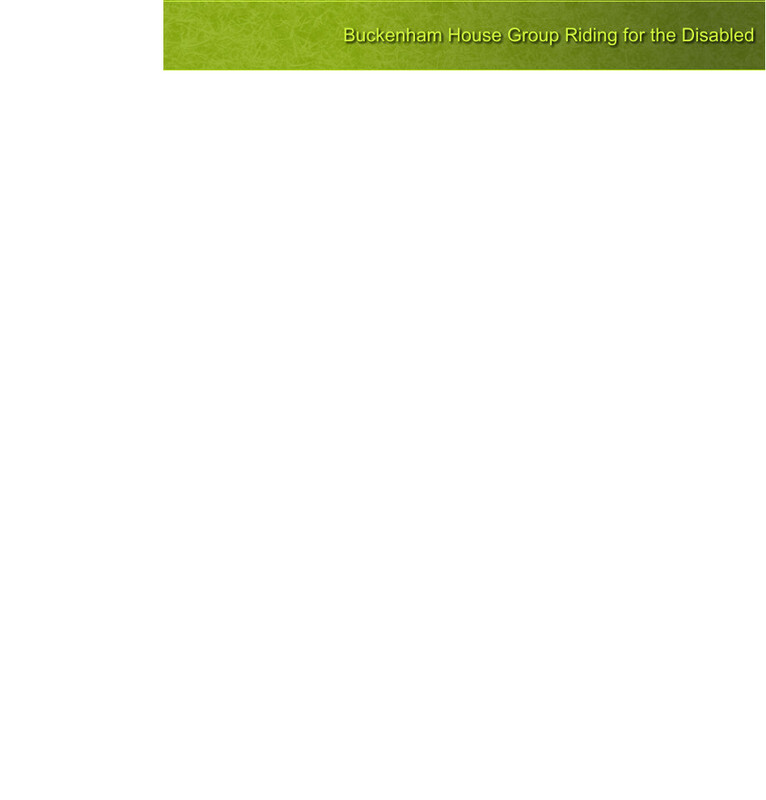 Making Friends We are a friendly group at Buckenham House RDA and the social aspect of the group is just as important as the riding, particularly for those members whose disabilities make it difficult for them to make friends. AGM / Helpers Party Our annual AGM is followed by a party to thank our helpers and to give us time to chat and catch up when we’re not having to rush about at lessons or fundraisers. Holidays Our annual holiday at Clwyd Special Riding Centre is a full 6 days when the lucky riders, helpers and carers get to know each other a bit better, share outings to local tourist centres, share meals and play games. Special Events When a special event needs to be celebrated the Buckenham House Group know how to do it in style. Recent events include our 30 th Anniversary Party and our President’s 70 th birthday. Non-Riding Events Sometimes we organise events to take riders out to non-riding events such as a visit to Redwings Horse Sanctuary, or to take part in a Christmas Tree decorating competition at a local church. Committee and Trustees The group is run by it’s committee and overseen by it’s trustees. Volunteers to join these groups are always welcome and new ideas are always looked for. To become a helper, please complete the volunteer application form by clicking on this link And send the completed form to… Mrs L Kelly Group Secretary Buckenham House Group RDA 18 Scrumpy Way Banham Norwich, Norfolk NR16 2SU Or bring it with you to one of our lessons/fundraising events. Helping with RDA affords many opportunities to achieve personal progression if you are interested: Certificate for Green Card Once you have completed all the relevant sections on your training card (green card), the group secretary can send it off to National Office and you will receive a certificate in return. Young Equestrian Leader Award (YELA) RDA takes part in this scheme run by the British Equestrian Federation (BEF) and Sport England for volunteers between the ages of 13 and 25. Duke of Edinburgh’s Awards Some of our younger volunteers come to us to fulfil part of the DoE scheme, and we’re always glad to help them to achieve their goals. Volunteer Of The Year Within the group we have an annual award for Volunteer of the Year, which goes to the most helpful volunteer, or the one who has made an effort above and beyond the call of duty. It’s a difficult decision as all our volunteers are brilliant. Pony Club Badges The Pony Club also run a scheme to award achievement badges to their members and one of the badges is for volunteering to help out at RDA lessons or events. We welcome any interested Pony Club members. Keeping Fit For those of you not award minded, there are still some achievements available – the most obvious being that helping at RDA lessons is a superb way to help keep fit! Some volunteers join the group and bring with them some very useful skills, and others learn new skills in order to help out. Some of the skills are not the most obvious… First Aid Riding is a risk sport and clearly it is sensible to have first aiders available at all lessons and events. 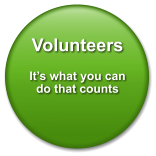 Many of our volunteers have taken first aid training which is arranged through the County on a regular basis. If you already have first aid training please let the secretary have a copy of your certificate for our records. Horse Care (Proficiency Tests/ASDAN) If you have years of horse care experience, but do not feel up to running about with the ponies each week, your skills can be of great benefit to the riders. Communication Some of our riders have difficulties with communication and anyone with some knowledge of sign language, for example, is worth their weight in gold. Physiotherapy RDA works closely with physiotherapists to ensure the best teaching methods to siut the riders needs. In fact there is a special qualification for physios working with RDA, ACPTR (Association of Chartered Physiotherapists in Therapeutic Riding). So any interested physios out there will be welcomed with open arms! Cake Making What do home made cakes have to do with riding horses? 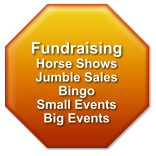 Well, they are always good sellers at fundraising events, popular at parties and welcomed to revive exhausted riders and helpers after the lessons. Cake makers are the backbone of RDA fundraising!